One of our favorite and most popular table games, foosball is a great way to add some excitement to your next event. 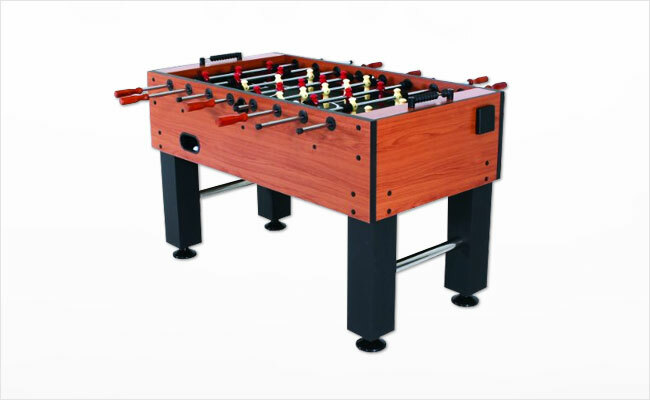 All of our foosball tables include handles and safety caps for each row of players, slide over score keeping and easy ball-drop openings. Call or email us today for a free quote!